At the same time, tender for four workboats, which are meant for rescue, maintenance, and emergency would be floated by the end of this month. 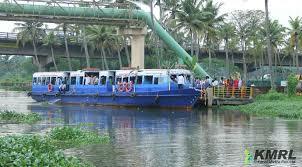 KOCHI: The tender for the manufacturing of boats under the Water Metro project will be awarded by December. According to Kochi Metro Rail Ltd (KMRL) authorities, the Request For Qualification (RFQ) tender evaluation is in progress and Request For Proposal for the boats will be floated shortly. “KMRL is expecting to award the tender by December. At the same time, tender for four workboats, which are meant for rescue, maintenance, and emergency would be floated by the end of this month,” said KMRL managing director Mohammed Hanish. He said for the floating pontoons, RFQ has been floated and the opening of the tender is planned on October 24. “RFP for the same has been submitted to KfW for approval and expected to issue it in the month of November,” he added. Water metro, the `747-crore integrated water transport project executed by KMRL with the support of German Development Bank KfW is expected to cover 15 routes, 76-km with 78 boats covering 45 terminals. KMRL conducted a public consultation programme for Water Metro on Monday at Kothad. Hanish briefed the details of the project to the people’s representatives who attended the programme. Regarding the Environmental Impact Assessment (EIA) study, the general manager of Water Metro project Shaji P Janardanan said they are expecting a wildlife clearance from Principal Chief Conservator of Forests (PCCF). The public hearing is over and applications submitted to ASI and State Coastal Zone Regulatory Authority. Next articleExclusive Interview of IAS Pankaj Kumar Bansal, MD, Chennai Metro Rail Ltd.